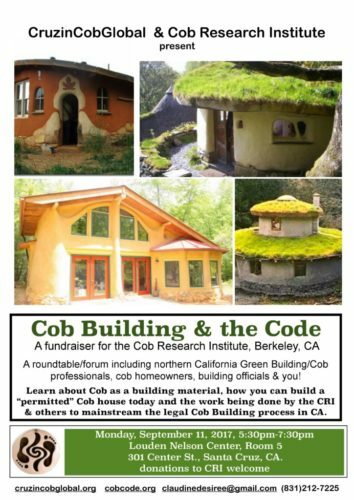 We will be holding this event at Louden Nelson Community Center from 5:30-7:30pm and will not have the potluck afterwards but we can continue shmoozing outside afterwards… This will be a unique event providing attendees with the most up-to-date information on the permitted cob building process today and in the upcoming future, as a result of the engineering testing scheduled in Santa Clara. 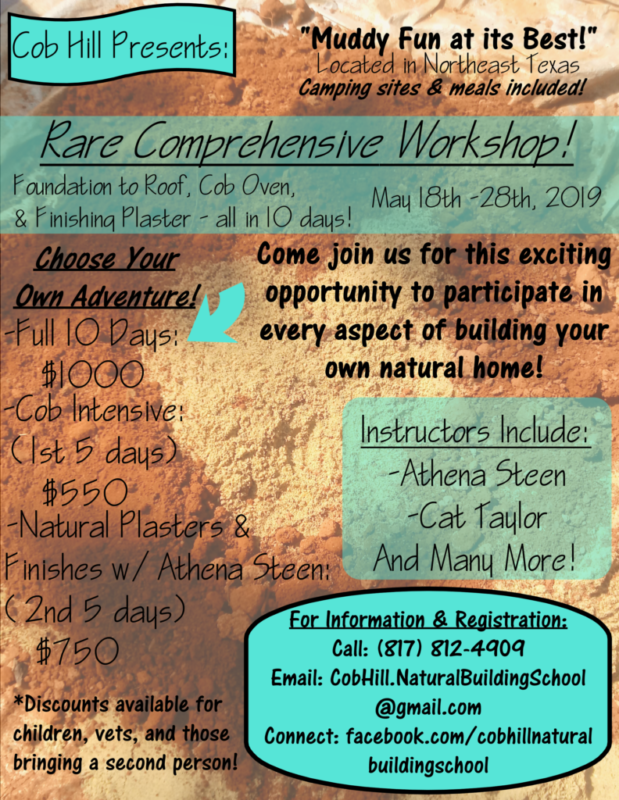 We will have John Fordice and Martin Hammer of the Cob Research Institute presenting, other builders, architects, engineers and building officials. Mark your calendar for 9/11!